Spacious and cool Standard rooms are designed with your relaxation in mind and have ample space for your diving gear. Enjoy a drink from the minibar on your terrace or balcony while gazing out on the fairways or the dramatic Sinai mountain range. Free WIFI in all rooms & Public areas. 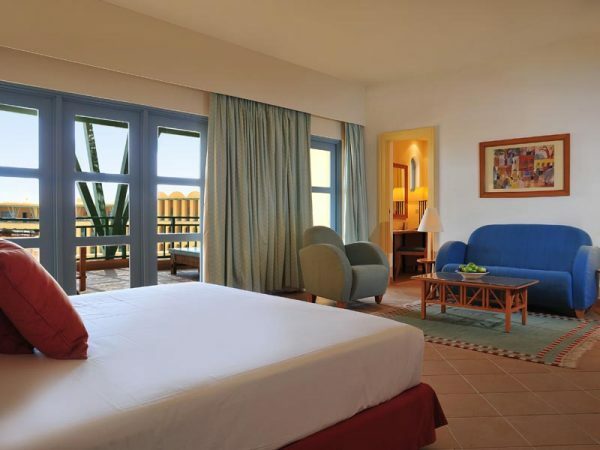 With our Seafront Rooms in a quiet and pleasant environment, you will be able to enjoy one of the most wonderful sunsets and sunrise on the Red Sea. A total of approx. 40 m².